We specialise in offering acupuncture primarily in the field of fertility. We also offer ongoing support through pregnancy, childbirth and post-natally. We specialise in offering acupuncture primarily in the field of fertility. We also offer ongoing support through pregnancy, childbirth and post-natally. We support couples locally from Brighton and Hove, Lewes, Sussex and many couples who work in London offering an evening and Saturday appointment service also. We are committed to providing an environment of excellent complementary healthcare as we support patients through their fertility journey. By considering the patient from complementary diagnostic perspectives, we can offer valuable insights for improving their natural fertility and their chances of conception with Assisted Reproductive Techniques (ART), for example IVF and IUI. Our acupuncturists treat a range of gynaecological conditions including hormonal imbalances, subfertility, painful or irregular periods, pre-menstrual symptoms, breast tenderness, endometriosis and polycystic ovaries. Acupuncture can also be an effective form of treatment during all stages of pregnancy, often when other treatments options are not available. We regularly treat pregnant women for symptoms associated with pregnancy such as nausea, fatigue, back pain, sciatica, varicose veins, anaemia, insomnia, oedema, constipation and heartburn as well as treating for breech presentation and induction of labour. We can also use acupuncture and acupressure as a woman prepares for labour and through all stages of childbirth. We offer home visits postnatally in the Brighton and Hove area. 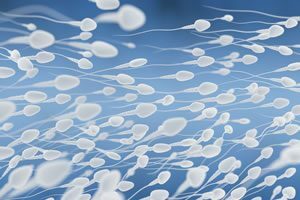 Fertility has traditionally been considered a female concern, but male related factors can now account for around 35-40% of cases of non-conception. There is a growing body of research which suggests that acupuncture has a valuable role in increasing the chances of a positive outcome for natural conception and healthy pregnancy. Assisted reproductive techniques can be highly technical procedures and it is easy to feel that you are the object of a scientific process, and have little influence on that process or outcome.